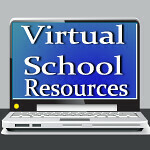 Virtual School Resources: Give the Gift of College Education with GradSave! How often have you wondered what kind of gift would be really helpful to new parents? I've been to so many baby showers where the mom-to-be got tons of diapers and other baby items, some that will probably never be used. And clothes? I am thinking only people who don't have children buy outfits in 0-3, right? Unless they were preemies, they wear that outfit once! Don't get me wrong, I remember how awesome it was to open all those great gifts at my baby showers. Having so many new items for my girls was so much fun! But here's a question. How many people would remember what you got them ten years later? It's not that it wasn't a great gift, it's just that they are in a different place now. However, if you had given them a $25. or $50. gift card for GradSave, they would have started a savings plan for college and that money would have grown tax-free from the time they put it in the 529 account! Do you think they would remember that gift? Setting up an account with GradSave takes just a couple of minutes. I know, because I set mine up! You make a profile page for your child (or grandchild!) and let family and friends know about it. They can just go to the link you provide through email, Facebook, or other social media outlet, and they can buy a GradSave gift card to make a contribution. It really is so easy! And right now you can save $10. on your GradSave purchase! That's right, $10! Just go to GradSave and place your order and you will see $10. deducted when you check out! I told you it was easy! I'd love to hear about your experience with GradSave! Be sure to come back and share how easy it was for you to give the gift of college education!